Shri Hanuman Stuti is from Anand Ramayanam. It is in Sanskrit. 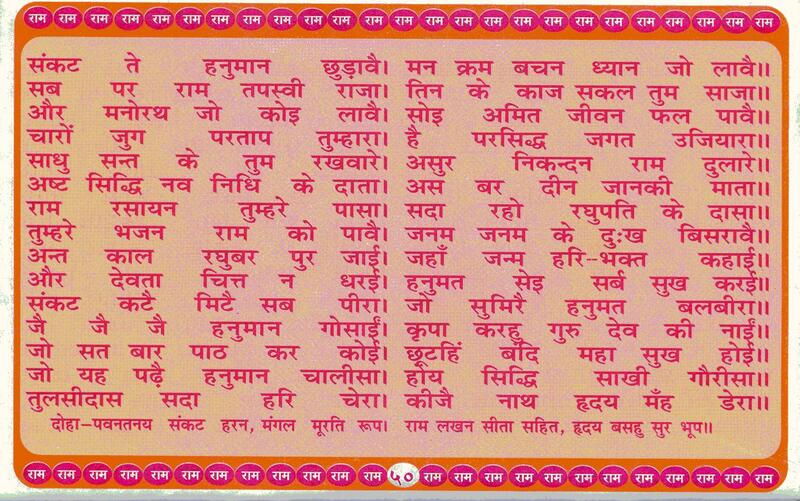 The stuti is the twelve famous names of Shri Hanuman. These names indicate the great virtues of Shri Hanuman. 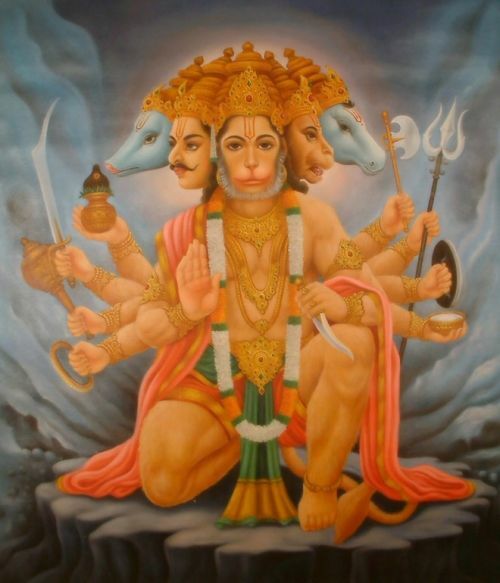 2 Udadhikramana (who can cross the ocean within few seconds), destroyer of sorrow of Sita, Life saver of Laxman, and destroyer of pride of Ravana are the twelve names of Hanuman. 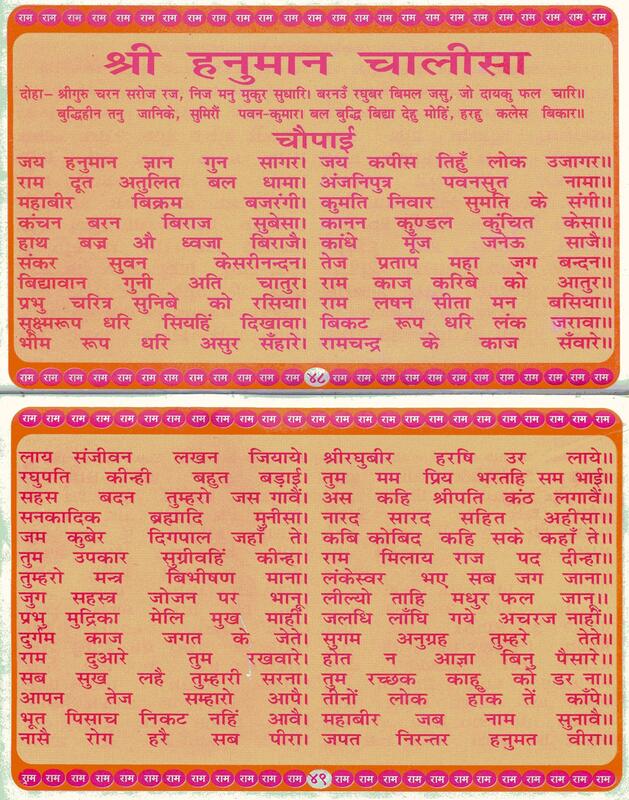 3 These are very pious twelve names of Hanuman indicate his great virtues. Whosoever recites these names at the time of sleeping, after getting up in the morning or while in travelling, becomes free from all sorts of fear. 4 All his difficulties are removed and he becomes victorious. He never has a fear from regime or from any where as his fear is removed forever. Thus here completes Shri Hanuman Stuti from Ananda Ramanayan. 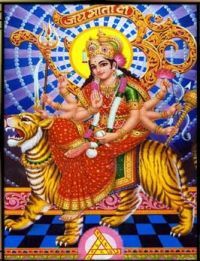 The Hanuman Gayatri mantra is used for increasing love in performing duties and selfless service. Krishna Das singing the Hanuman Chalisa (to the Heart as Wide as the World melody) at Neem Karoli Baba's temple in Kakrighat (Uttaranchal Pradesh) India, September 2009. Hanuman also known as Anjaneya, Mahavira, Bajrangbali, is a Hindu god and an ardent devotee of the god Rama. He is one of the central figures in the Hindu epic Ramayana and its various versions. As one of the Chiranjivi he is also mentioned in several other texts, including Mahabharata, the various Puranas and some Jain texts. Vanara (monkey), Hanuman participated in Rama's war against the demon king Ravana. Several texts also present him as an incarnation of Shiva. He is the son of Anjana and Kesari, and is also described as the son of the wind-god Vayu, who according to several stories, played a role in his birth.